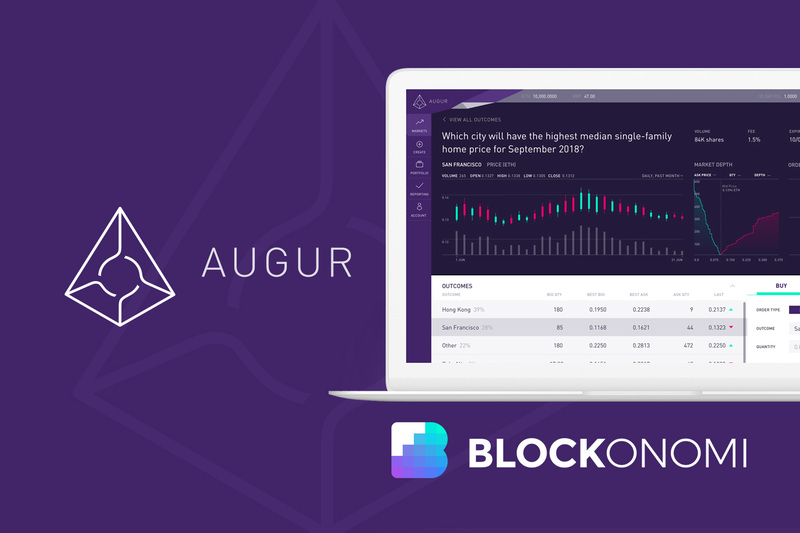 Augur is an open source blockchain platform that allows people to wager on future events. In theory this isn’t illegal, but the abilities that it gives its users are worrying authorities. Augur’s “death-pools” have been the most notable instance of Augur being used for activity that is illegal in the USA, but the capacity that Augur to create an unregulated options market is potentially a much larger headache for financial regulators. Financial derivatives, like options, are an enormous market. It is also a heavily regulated space, which is only open to select investors. Augur permits its users to create what are, in essence, Over-The-Counter (OTC) derivatives. For now this is a tiny market, but if Augur becomes more popular, the fact that a DLT based blockchain platform could be used to create a parallel OTC derivatives market will probably be a major concern for the CFTC. One of the biggest problems for regulators is the fact that in the blockchain world, there is no central clearing authority. Instead of being able to go after a specific legal entity that is making the market, Augur’s platform is distributed across nodes (called “repeaters”) that could be just about anywhere in the world. In addition to the enormous legal costs associated with attempting to prosecute a foreign national in their own country, a platform like Augur isn’t illegal globally. For people not familiar with DLT technology, the idea that a network can be everywhere and nowhere in particular is a very challenging concept. Twenty years ago a similar situation developed with the advent of peer-to-peer file sharing, but unlike Augur, there was a central platform that could be hounded by the authorities. Not that DLT technology exists, the same regulatory playbook just isn’t going to cut it. Augur is open source, and once the platform is deployed (as it is now) it is unlikely that Augur could shut it down even if they wanted to. Additionally, Augur isn’t a clearing-house of any kind, and has no connection to individual transactions on their platform. The CFTC has done battle with online binary options before. In 2012 they shut an Irish betting site out of the US market, but now the playing field is very different. The transactions that can be created on Augur aren’t transparent, and the nodes that process the results don’t benefit directly from a specific gain or loss. The nodes are paid in REP tokens, but they may be processing a legal transaction, or an illegal one. Augur isn’t alone in creating platforms that can make contracts that are subject to numerous regulation in most advanced countries. The core of the issue is that now people can create binding contracts with each other, and regulating how these agreements are formed and executed is nearly impossible with the tools that regulators have at their disposal. It would be nearly impossible to shut down the Augur platform, or block access to it. It is equally hard to prosecute the people who use Augur’s platform, or operate the nodes that keep it online. Even if Augur decided to destroy their code, now that it is out in the open, there is nothing stopping another entity from publishing a similar platform, and allowing people to keep making mostly anonymous wagers from anywhere on the planet. Binary options are an easy and efficient way to speculate on the direction of just about anything with a price, or hedge exposure to financial instruments. A platform like Augur could be used to create other forms of derivatives, and offers its users a high level of anonymity with little chance of being held responsible by tax authorities. Speculators tend to gravitate to markets that reward their capital, and don’t impose a lot of regulations on how they operate. The inability of regulators to address a platform like Augur with their existing tools makes it unlikely DLT based platforms will suffer the same fate as the early pioneers of peer-to-peer file sharing.